The 38-year-old actor who rose to fame after Journey of Flower is married to 49-year old Hong Kong actress Catherine Hung. Initially the picture of a happy family, Chinese paparazzi captured photos of his manager Bi Ying walking into Zhang Danfeng's hotel room. Another thing that raised eyebrows was when Bi Ying left in the wee hours of the morning the next day, she wore a different pair of pants. This isn't the first time that the relationship of Zhang Danfeng and Bi Ying became the subject of controversy. Back in July last year, Zhang Danfeng denied accusations that something was going on between them. His wife Catherine also expressed her faith in her husband. With the recent scandal however, Catherine did not speak up and instead deleted all of the couple's intimate photos from her Weibo account except for the one photo shared last July when their family went on a a trip to Shanghai Disneyland with Bi Ying. 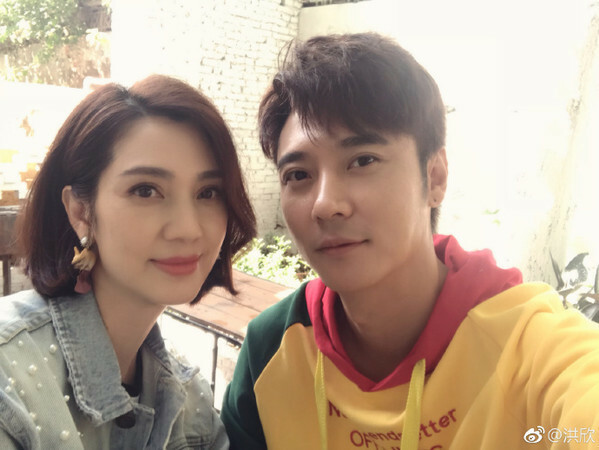 Although neither Zhang Danfeng, Cathering Hung nor Bi Ying have commented, netizens are pissed off at Zhang Danfeng for allegedly cheating on Catherine. 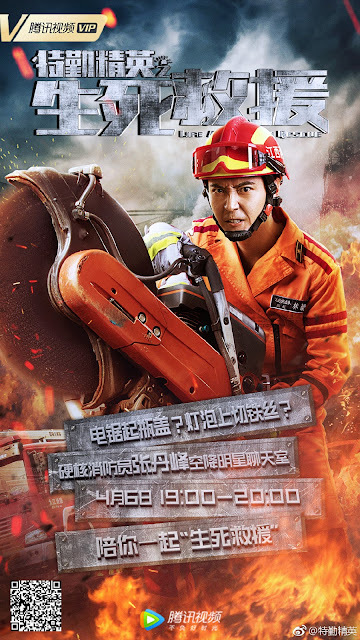 Life and Death Rescue 特勤精英 a two-part web movie that stars Zhang Danfeng as a firefighter aired shortly before his scandal exploded. It is expected to take a hit because of all the bad press hounding its leading man which is probably why the producers have stopped mentioning Zhang Danfeng or using his posters to promote the movie. Meanwhile, some netizens have been requesting that China's National Radio and Television Administration (formerly SARFT) blacklist the actor. Should that happen, it could spell more trouble for his existing and future projects. Update April 20, 2019: Zhang Danfeng studio releases a statement to shoot down the rumors. I cannot believe the level of hurt he cause towards his wife. And the manager who was in charge of their finance has alleged to have transferred the wife's assets and money to another bank. I am unsure how true that is but she is definitely a snake. I sincerely hope we get confirmation as I am beyond angry at how those two low-life hurt everyone around them. Catherine hang in there. I really hope the rumors that the mistress took all her assets is not true. How awful that she has to encounter the husband cheating, but to lose all her hard earned assets to these two awful people. Catherine is so pretty still, how could he cheat on her. The mistress is not even half as beautiful as Catherine.